Here at TDA we understand that the network infrastructure of your company is vital in ensuring the delivery of your IT system. We can help you approach networking issues in a structured cost-effective way. Our range of IT solutions and services includes structured Cat5e and Cat6e Fibre Cable Installation, Broadband Installation, Managed Firewalls, Hosted IP Phone Systems and Video Conferencing. With over 60 years IT experience and proven relationships with reliable partners, we are a one stop shop for all of your IT and networking needs. Based in Islington EC1, we work with clients in central and greater London. Networking Services – contact us now to discuss your requirements. We work with our partners to install the correct type of network connection for your needs. We can install networked wall points for data and phone. Cat5e network cabling is the standard used in most small to medium businesses; it allows workstations and Servers to communicate with each other at speeds up to 1Gb/s (Gigabits per second). Cat6a cabling allows speeds of up to 10Gb/s. With technology changing at a fast past and file sizes increasing all the time, many companies are now opting for Cat6a. SDSL - Symmetric Digital Subscriber Line is similar to ADSL except as the name suggests the download and the upload speeds are identical for faster uploads (FTP). SDSL is more expensive than ADSL. Leased Line - A permanently connected telephone line that links a host to a service provider. The bandwidth could be anything from 2MB to 100MB. A leased line is generally expensive and used only for internet critical businesses. A firewall is a part of a computer system or network that is designed to block unauthorized access while permitting authorized communications. It is a device or set of devices that can be configured to permit or deny computer access based upon a set of rules. Managed firewalls provide a cost effective way of managing multiple firewalls across different sites offering benefits such as lower operating costs and better scalability. We can advise you on all aspects of managed firewalls, giving you peace of mind that your PC security is protected against constantly evolving threats. Video conferencing is a system that allows you to communicate with other users from multiple offices using audio and video transmitted over broadband. We can assist you with all aspects of video conferencing including supplying a full range of equipment. 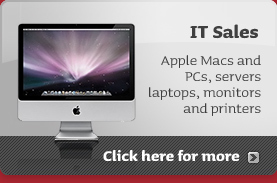 IT Solutions – contact us now to discuss your requirements. Them Digital are Based in Islington, EC1 and work with businesses in central and greater London.